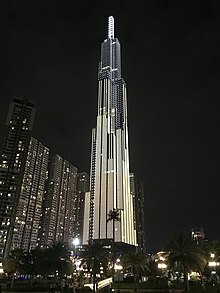 Landmark 81 is a super-tall skyscraper in Ho Chi Minh City, Vietnam, that was designed by the British design, engineering and consulting firm Atkins. The investor and primary developer for the project is Vinhomes, a Vietnamese corporation that is also the country's largest real-estate company. Landmark 81 is the tallest building in Vietnam, the tallest completed building in Southeast Asia as of July, 2018 and the 14th tallest building in the world. The 461.15 metres (1,513.0 ft) tall, 81-storey building is built on the western banks of the Saigon River in the city's Binh Thanh District, located just north of Ho Chi Minh City's historic center and to the immediate south of Saigon Bridge. The tower is at the heart of the $1.5 billion high-end mixed-use urban area called Vinhomes Central Park The development comprises hotel and conference facilities, luxury apartments, high-end retail spaces, restaurants, bars, and a multi-story observation deck at the tower's crown. View of Landmark 81 with surrounding high-rises. The ground-breaking ceremony for the tower was held on December 13, 2014. In October 2017, construction finished on 69 floors of its 81 floors, and with a height of 270 metres (890 ft), it surpassed the Bitexco Financial Tower to become the tallest building in Ho Chi Minh City. As of January 2018, construction has finished on all floors, with only the spire and crown remaining to be built. 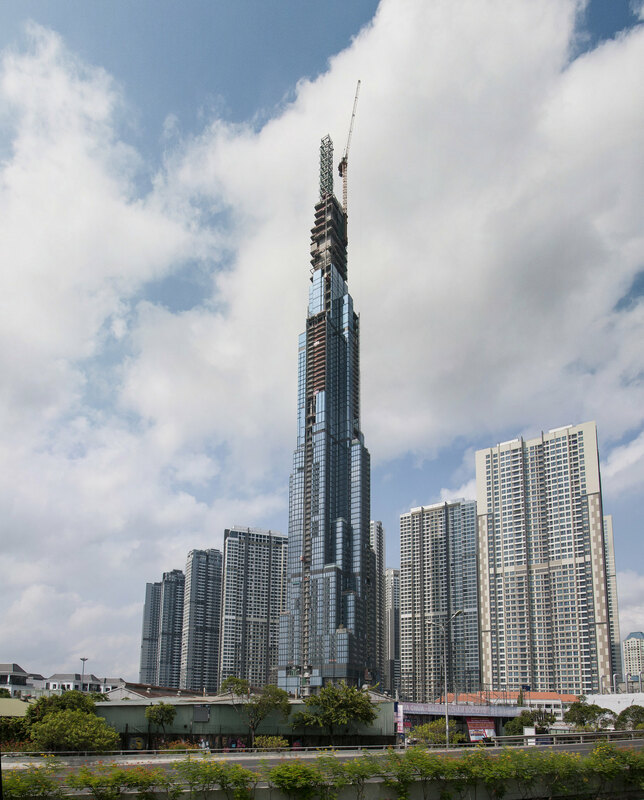 On April 10, 2018, the last segment of the crown spire was added, architecturally completing Landmark 81. The building's base, which takes up 6 floors with a total space of 50,000 m2 (540,000 sq ft), was opened officially on July 27, 2018 to mark the 25th anniversary of its owner's parent company, Vingroup. At around 340pm on 11/8/2018 in the Landmark 81 building a fire occurred in the 64 deck, due to welding activity. The fire was quickly controlled and did not cause any damage to person or property. ^ "Landmark 81". The Skyscraper Center. Council on Tall Buildings and Urban Habitat. Retrieved May 15, 2015. ^ "100 Future Tallest Buildings in the World by Height to Architectural Top". The Skyscraper Center. Council on Tall Buildings and Urban Habitat. Retrieved 11 April 2018. ^ "Unicons – Coteccons Group đưa Landmark 81 trở thành tòa nhà cao nhất Đông Nam Á". Unicons Facebook (in Vietnamese). Retrieved 11 April 2018. ^ VnExpress. "Vietnam's tallest Landmark opens for business - VnExpress International". ^ "5 Star Luxury Vinhomes Landmark 81 Apartment in Ho Chi Minh City". Vinhomes Central Park. Retrieved 7 September 2018. Keangnam Hanoi Landmark Tower is a supertall skyscraper in Pham Hung Boulevard, Từ Liêm District, Vietnam. The complex consists of one 72-story office tower with the height of 350 m and two 48-storey residence towers. Landmark 72 is located on an area of 46,054 m2, the investor as well as the executor and operator of this complex is the South Korea-based company named Keangnam Enterprises, Ltd. The investment capital for this complex is estimated $1.05 billion USD, on November 2010, the main tower reached approximately 300 metres, making it the tallest structure in Vietnam. On 24 January 2011, the tower topped out at 350 metres. 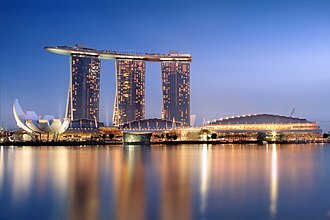 The complex features a 5-star InterContinental hotel, entertainment areas, retail spaces, the complex opened for business on 18 May 2012. Landmark 72 is the world’s 35th-highest building and the highest in Indochina Peninsula, Keangnam Enterprises indirectly owned a 70-percent stake in Landmark 72. The company invested over US$1 billion with US$510 million borrowed from banks, Landmark 72 is the site of Vietnam’s highest stair climbing race, the Vietnam Landmark 72 Hanoi Vertical Run. The Bank of China Tower is one of the most recognisable skyscrapers in Central, Hong Kong. It houses the headquarters for the Bank of China Limited, the building is located at 1 Garden Road, in Central and Western District on Hong Kong Island. Designed by I. M. Pei and L. C Pei of I. M Pei and Partners and it was the tallest building in Hong Kong and Asia from 1989 to 1992, and it was the first building outside the United States to break the 305 m mark. It is now the fourth tallest skyscraper in Hong Kong, after International Commerce Centre, Two International Finance Centre, the 6,700 m2 site on which the building is constructed was formerly the location of Murray House. Once developed, gross floor area was expected to be 100,000 m², the original project was intended for completion on the auspicious date of 8 August 1988. However, owing to delays, groundbreaking took place in March 1985. It was topped out in 1989, and occupied on 15 June 1990, the building was initially built by the Hong Kong Branch of the Bank of China, its Garden Road entrance continues to display the name Bank of China, rather than BOCHK. The top four and the bottom 19 stories are used by the Bank, ownership has since been transferred to BOCHK, although the Bank of China has leased back several floors for use by its own operations in Hong Kong. The Government had apparently given preferential treatment to Chinese companies, and was criticised for the apparent preferential treatment to the BOCHK. The price paid was half the amount of the 6,250 m² Admiralty II plot, the BOC would make initial payment of $60 million, with the rest payable over 13 years at 6% interest. The announcement of the sale was handled, and a dive in business confidence ensued. The Hang Seng Index fell 80 points, and the HK$ lost 1. 5% of its value the next day, designed by Pritzker Prize-winning architect I. M. Pei, the building is 315.0 m high with two masts reaching 367.4 m high. The 72-story building is located near Central MTR station and this was the tallest building in Hong Kong and Asia from 1990 to 1992, the first building outside the United States to break the 305 m mark, and the first composite space frame high-rise building. The Costanera Center Torre 2, better known as Gran Torre Santiago, and previously known as Torre Gran Costanera, is a 64-story tall skyscraper in Santiago, the tallest in Latin America. It is the second-tallest building by highest architectural feature and by highest occupied floor in the Southern Hemisphere and it was designed by Argentine architect César Pelli. Gran Torre Santiago is part of the Costanera Center complex, which includes the largest shopping mall in Latin America, two hotels and two additional office towers. Gran Torre Santiago is 300 metres tall and 64 stories high plus 6 basement floors, the tower has nearly 700,000 square meters of building space available built on 47,000 square meters of land. Planners estimated that there would be some 240,000 people going to, the tower was designed by the Argentine architect Cesar Pelli of Pelli Clarke Pelli Architects, Chilean architects Alemparte Barreda & Asociados, and by the Canadian company Watt International. Structural engineering is performed by the Chilean company René Lagos y Asociados Ing, salfa Corp. was responsible for its construction. The firm has over 14,000 staff based in 92 offices across 42 countries, and is present in Africa, the Americas, East Asia and the Middle East. Arup has participated in projects in over 160 countries, Arup is owned by trusts, the beneficiaries of which are Arups past and present employees, who receive a share of the firms operating profit each year. The firm was founded in London in 1946, as the Ove N. Arup Consulting Engineers by Ove Arup and he set out to build a firm where professionals of diverse disciplines could work together to produce projects of greater quality than was achievable by them working in isolation. In 1963, together with the architect Philip Dowson, Arup Associates was formed, in 1970, the firm reformed as Ove Arup & Partners. 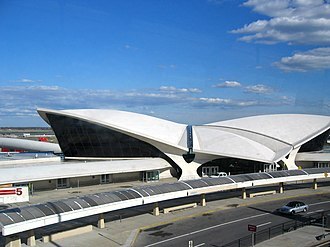 It is best known for its work for the built environment. Projects to which it has contributed include the Sydney Opera House,3, Nevada, USA Druk White Lotus School was built to survive the Ladakhi weather. Kingdom Centre, The third tallest skyscraper in Saudi Arabia, and the second tallest in Riyadh and this group continues to work under the banner of Arup Associates following a streamlining of the Arup brand. Many of Arups modern stadia are designed with a contemporary, distinctive edge, the most notable stadium projects led by Arup remain the City of Manchester Stadium, Allianz Arena, Beijing National Stadium, Donbass Arena and the Singapore Sports Hub. Arups multidisciplinary sports venue design and engineering scope on the Singapore Sports Hub won the 2013 World Architecture Festival Award in the Future Projects, the Casa da Música, designed by Arup and Office for Metropolitan Architecture was nominated for the 2007 Stirling Prize. Arup was awarded the Worldaware Award for Innovation for its Vawtex air system in Harare International School, Arup Fire has won the Fire Safety Engineering Design award four times since its creation in 2001. The 2001 inaugural award was won for Arups contribution to the Eden Project in Cornwall, UK, in 2004, the design for Londons City Hall was appointed joint winner. In 2005, the Temple Mills Eurostar Depot won, the 2006 winning entry was for Amethyst House, a nine-storey building with an atrium from the ground to the top, in Manchester, UK. Bitexco Financial Tower is a 68-Storey,262.5 m skyscraper in Ho Chi Minh City, Vietnam. At completion in 2010, it became the tallest building in Vietnam and kept this status until January 2011, Bitexco Financial Tower is owned by Bitexco Group, a Vietnamese company. The tower is owned by Bitexco Group, a multi-industry corporation, the building houses the Ho Chi Minh City office of Bitexco Group, while its headquarters are in Hanoi. The tower was designed by Carlos Zapata, Design Principal and Founder of Carlos Zapata Studio, designer Zapata, who was born in Venezuela but is based in New York City, drew inspiration for this skyscrapers unique shape from Vietnams national flower, the Lotus. The tower was inaugurated on October 31,2010. In 2013, CNN. 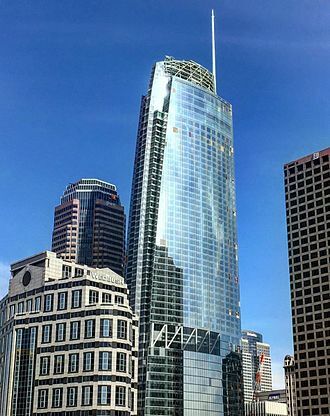 com named the Bitexco Financial Tower one of the 25 Great Skyscraper Icons of Construction, and in 2015, Thrillist. com named the Bitexco Financial Tower the #2 Coolest Skyscraper in the World. 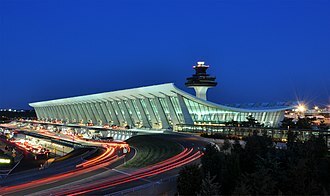 The groundbreaking ceremony was held in September 2005, two years later, in June 2007, construction of the tower started. The tower topped out in mid-2010 and had its inauguration ceremony on 31 October 2010, Bitexco Financial Tower is an international standard mixed use project which includes office, retail, F&B and entertainment space. At Floor 49, at height around 178 metres, there is a deck, Saigon Skydeck, open to the public daily. From floors 50 to 52, there are further F&B and entertainment offerings, including a dining restaurant. Vietnams first non-rooftop helipad is on the 52nd floor of the Bitexco Financial Tower, the helipad extends 22 meters out from the main structure. It is strong enough to carry a helicopter up to 3 tons of weight, grand Atrium Lobby Wall & Façade system The glass from Belgium was purchased and shipped to China for manufacturing. Once in China the low iron heat strengthened glass was cut into 6,000 individual panels, each panel is double glazed with the outside layer being 8mm thick and internal air space of 12mm and an internal panel of 8mm. Finally the glass was shipped to Ho Chi Minh City and the panels were installed as the building grew higher. The New York Times Building is a skyscraper on the west side of Midtown Manhattan, New York City that was completed in 2007. Its chief tenant is The New York Times Company, publisher of The New York Times as well as the International New York Times, construction was by a joint venture of The New York Times Company, Forest City Ratner, and ING Real Estate. The original newspaper headquarters in 1851 were at 113 Nassau Street, in a building that stood until fairly recently. The slender tower was so constricted in space that the paper outgrew it within a decade and, in 1913, moved into the Times Annex,229 West 43rd Street, where it remained for almost a century. The project was announced on December 13,2001, a 52-story tower on the east side of Eighth Avenue between 40th and 41st Street across from the Port Authority of New York & New Jersey Bus Terminal. 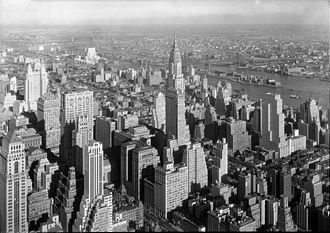 In addition, the new building—called by many New Yorkers The New Times Tower—keeps the paper in the Times Square area, the site for the building was obtained by the Empire State Development Corporation through eminent domain. With a mandate to acquire and redevelop blighted properties in Times Square, ten buildings were condemned by the ESDC, some owners sued, asserting that the area was no longer blighted, but lost in court. Once the 80, 000-square-foot site was assembled, it was leased to The New York Times Company, The New York Times Company received $26.1 million in tax breaks. The Times itself occupies 628,000 square feet on the 2nd to 21st floors, on December 16,2016, the New York Times announced that it was vacating at least 8 of the floors in order to generate rental income. The tower was designed by Renzo Piano Building Workshop and FXFOWLE Architects, the lighting design for the buildings nighttime identity was designed by the Office for Visual Interaction Inc. The tower rises 748 feet from the street to its roof, with the curtain wall extending 92 feet higher to 840 feet. 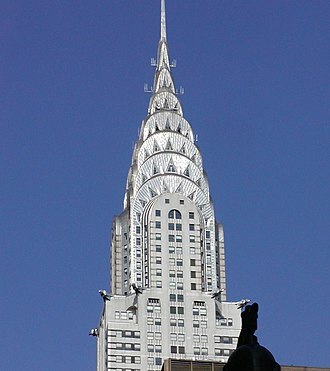 As of 2010, the building was tied with the Chrysler Building as the fourth-tallest building in New York City, the tower is the tenth-tallest building in the United States. The Willis Tower, built as and still commonly referred to as Sears Tower, is a 108-story,1, 450-foot skyscraper in Chicago, United States. The building is considered an achievement for its architect Fazlur Kahn. The Willis Tower is the second-tallest building in the United States, more than one million people visit its observation deck each year, making it one of Chicagos most popular tourist destinations. 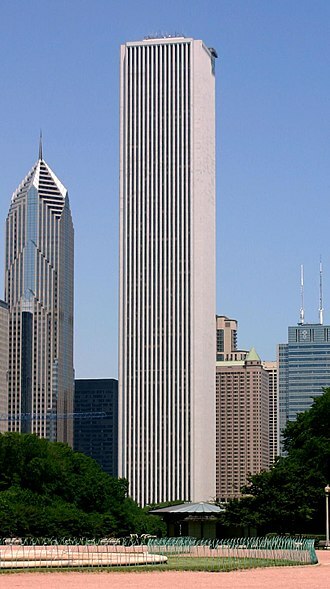 The structure was renamed in 2009 by the Willis Group as part of its lease on a portion of the towers space, the buildings official address is 233 South Wacker Drive, Illinois 60606. In 1969, Roebuck & Co. was the largest retailer in the world, Sears executives decided to consolidate the thousands of employees in offices distributed throughout the Chicago area into one building on the western edge of Chicagos Loop. Sears asked its counsel, Gluck, Weitzenfeld & Minow to suggest a location. This latter site was decided upon, and preliminary inquiries determined that the necessary permits could be obtained, the next step was to acquire the property, a team of attorneys from the Arnstein law firm, headed by Andrew Adsit, began buying the property parcel by parcel. Sears purchased 15 old buildings from 100 owners and paid $2.7 million to the City of Chicago for the portion of Quincy Street that divided the property. Their team of architect Bruce Graham and structural engineer Fazlur Rahman Khan designed the building as nine square tubes, all nine tubes would rise up to the 50th floor of the building. 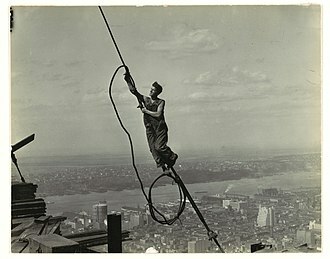 At the 50th floor, the northwest and southeast tubes end, at the 66th floor, the northeast and the southwest tubes end. 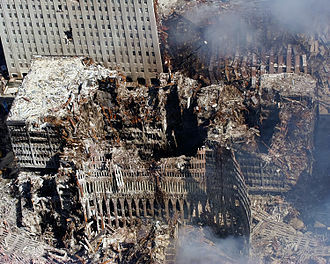 At the 90th floor, the north and south tubes end, the remaining west and center tubes continue up to the 108th floor. The Willis Tower was the first building to use Khans bundled tube structure and this innovative design was structurally efficient and economic, at 1,450 feet, it provided more space and rose higher than the Empire State Building, yet cost much less per unit area. 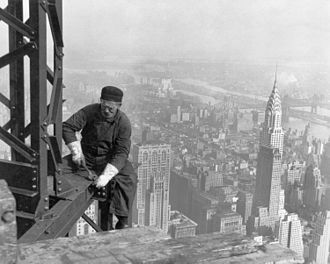 This structural system would prove influential in skyscraper construction. 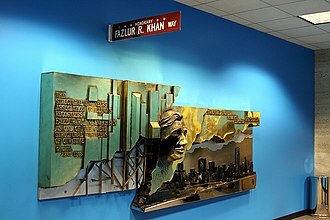 It has been used in most supertall buildings since then, including the worlds tallest building, to honor Khans contributions, the Structural Engineers Association of Illinois commissioned a sculpture of him for the lobby of the Willis Tower. Ground view of the tower. 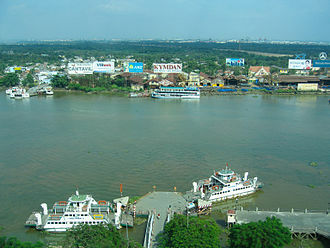 The Thủ Thiêm ferry crossing on Saigon river. No longer in use as of 2012. An Atkins' construction site house at a building site in Hong Kong.